A discussion about The Repertory Theatre of St. Louis' production of Michael Hollinger's "Opus" and a collaboration with St. Louis Symphony musicians who are serving as coaches. 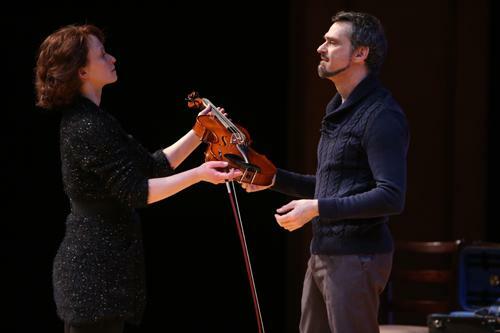 The Repertory Theatre of St. Louis opens tonight with Michael Hollinger's “Opus,” the story of a famous string quartet who must replace one of their members in time to perform for the White House. 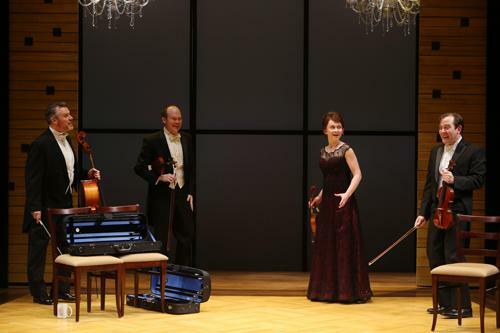 Director Brendon Fox described the quartet as a family of sorts, making the play relatable even to someone who doesn’t know much about classical music. There are many parallels between the arts, Fox said, and the “cross-pollination between the fields” found in "Opus" makes the play both unique and exciting. 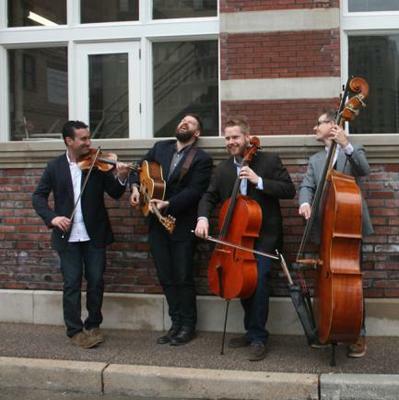 He recruited three members of the St. Louis Symphony to coach his actors into believable musicians, including cellist Bjorn Ranheim, who is also a member of the quartet The 442s. Unlike the hierarchy of the symphony, members of a quartet come up with artistic direction more democratically, which can make for some lively discussions. “You have four very unique personalities, perspectives, and different musical ideas, and you have to fight for those ideas and you have to convince everybody, and then become convincing as a unit,” Ranheim said. The other two St. Louis Symphony musicians serving as coaches are violinist Eva Kozma and violist Shannon Farrell Williams. Repertory Theatre of St. Louis Presents Michael Hollinger's "Opus"
For more information, call 314-968-4925 or visit the Repertory Theatre of St. Louis website. The majority of this interview is a rebroadcast from April 19, 2013. Cellist Bjorn Ranheim and violinist Shawn Weil are colleagues in the St. Louis Symphony. Double bassist Syd Rodway and composer/keyboardist Adam Maness are members of the Erin Bode Group. They got to know each other when Ranheim and Weil collaborated with the Erin Bode Group and also shared an interest in good food and fine beer. A theatrical adaptation of the C.S. Lewis novel The Screwtape Letters returns to the Touhill this weekend. 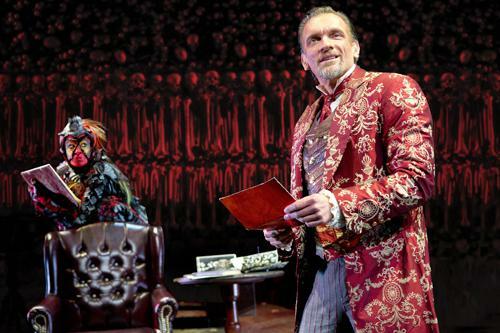 When the play was first performed in St. Louis in 2010, director and co-author Max McLean performed the role of the demon Screwtape. The role is now performed by Brent Harris. "He has a lot of experience playing evil characters," said McLean of Harris. "Macbeth, Iago, Scar from the Lion King." 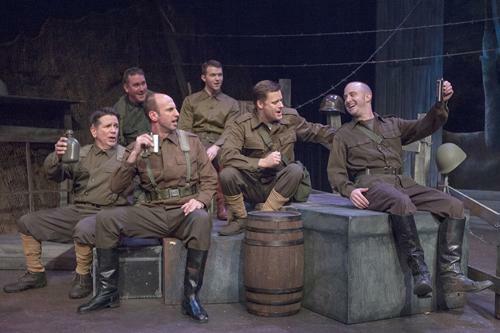 In remembrance of Veteran’s Day, Mustard Seed Theatre is presenting “All is Calm: The Christmas Truce of 1914.” The a cappella musical is based on a true story from the front lines during World War I. The Center of Creative Arts in St. Louis is presenting psychological thriller "Turn of the Screw" this weekend, just in time to set the mood for Halloween. 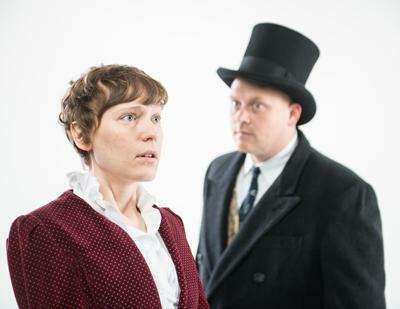 The two-person cast is performing Jeffrey Hatcher's adaptation of Henry James' 1898 gothic novella about a governess in England who takes a new position in Essex and begins to hear ghosts and see apparitions.